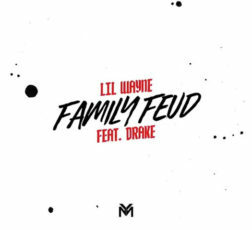 As if it were 2008 all over again, Drake jumped on an unreleased track from Wayne’s latest installment in the Dedication series. The “Family Feud” beat came from Jay-Z’s 4:44 album in 2017 and the release from Drake was timed perfectly after HOV dropped the video release on Friday. You can tell from some of the content that this verse is fresh out of the packaging and starts the year off right after a relatively slow musical year for arguably the best rapper in the game not named Jay himself. “Somebody get Larry Jackson on the phone. I need some ownership if we pressing go. Business is boomin’ on behalf of me. I need a bite out of the Apple like Adam and Eve.” — Jackson is the streaming head of content for Apple Music. Drake has a deal with the service to the tune of 20 million but sounds like a renegotiation is in the works.